This week on RPG Lessons Learned Dusty, Brian, and Mike talk about what is both their first Chaosium d100 game, and their first Sci-Fi adventure! It’s Escape from Earthport from the Basic Roleplaying Game Quick-Start Edition! RPG Lessons Learned – 016: Lessons from Shadow of the Cabal! 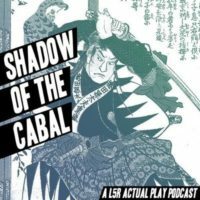 On this special episode of RPG Lessons Learned, Dusty, Brian, and Mike are joined by Tanner from the Shadow of the Cabal podcast, who shares some of the lessons he’s learned from his play of Legend of the Five Rings! On this episode of RPG Lessons Learned, Dusty, Brian and Mike discuss their first Pathfinder play together, Black Fang’s Dungeon! 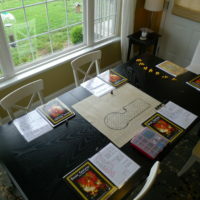 On this episode of RPG Lessons Learned, Dusty, Brian and Mike continue their discussion of the 4E games that Mike ran! This time we’re talking about his Dungeon Dashes! On this episode of RPG Lessons Learned, Dusty and Brian welcome Mike back to discuss Hall of the Spider Gods! 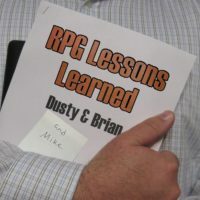 On this episode of RPG Lessons Learned, Dusty and Brian welcome their first guest to the show: Mike! Mike discusses the game he ran, Kobold Hall! On this episode of RPG Lessons Learned, Dusty and Brian continue their discussion about the jobs board at the Silver Unicorn. This time a new adventurer joins, and his GMs hate it when he rolls his own characters. This week on RPG Lessons Learned, it’s not you, it’s us. Really. On this episode of RPG Lessons Learned, Dusty and Brian discuss the jobs board at the Silver Unicorn. Dusty devised this mechanic to create some quick adventures. How did it go? Did the players try to metagame? You know it. On this episode of RPG Lessons Learned, Dusty and Brian talk about The Tower of Waiting, our first attempt with BFRPG homebrew. This didn’t go well. 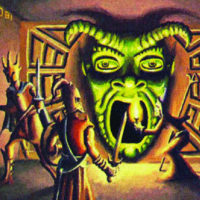 On this episode of RPG Lessons Learned, Dusty and Brian talk about their play of Gary Gygax’s Tomb of Horrors. From their game experience, to John Wick’s criticism, there’s a lot to talk about on this nearly 40 year old adventure.